That there's Peachy Keen. She'll cut you. The reason my husband has not yet written a review of Dragon Age 2 is that he hasn’t been playing it. Instead, he has been running around in Nightfall with the new alt I rolled for the purpose of duoing our way across Tyria (the world, not the continent). I never realized how difficult it would be to take a screenshot of two characters and their pets until I tried it, which is why you only get to see yours truly above. Mr. Randomessa’s pet crocodile, Tusky, is camera-shy. I don’t see it mentioned often, but playing through Nightfall I am reminded that ArenaNet had been toying with branching storylines even then. While the personalized mission was nothing new, and we had already seen how faction could take your story in one direction or another with Factions, Nightfall took things even further with the irrevocable (until the end of the story, at least) choices you have to make regarding hero selection, and, occasionally, storyline branch. If you choose Jin, you can’t have Sousuke. If you choose the Master of Whispers, you can’t have Margrid. In my previous playthroughs of Nightfall, I had always chosen the Master of Whispers, and with him, the Rilohn Refuge and Dzaganur Bastion missions. Mr. Randomessa wanted to take Margrid, and so I am experiencing brand new content, not only for him, but for me as well. I am curious as to why ANet backed away from the “this, not that” options in storytelling when they got to Eye of the North, only to re-instate it, newer and shinier, with Guild Wars 2. Was it a time restriction? Were they not pleased with the way it was implemented in Nightfall and they wanted to give it another pass or ten before implementing it again? I’ve no idea, but I’m glad now that Mr. Randomessa and I started with Nightfall. 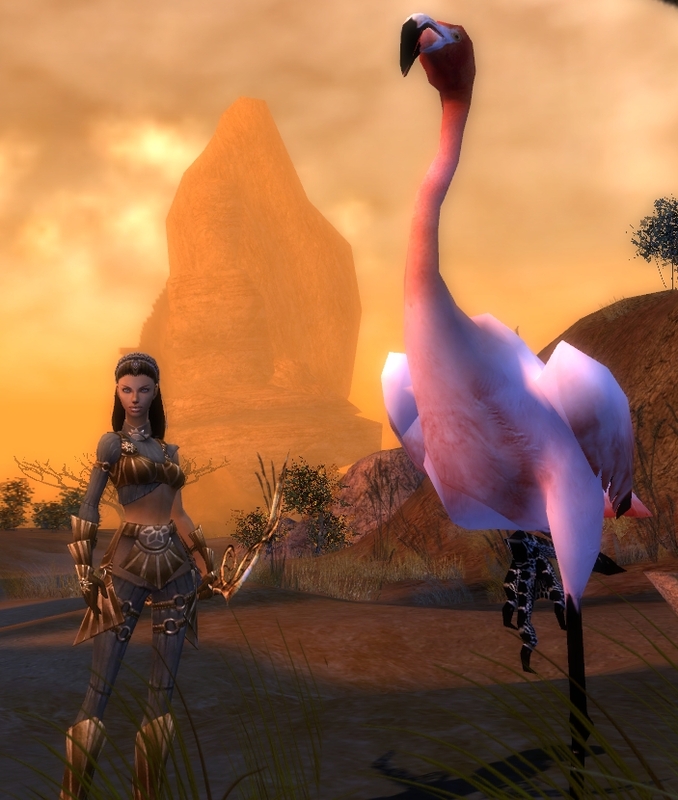 I think it’s an excellent primer for what Guild Wars 2 holds in store.